Yogurt is a big part of my diet. I eat it in the morning, but also love it as a late night healthy snack. 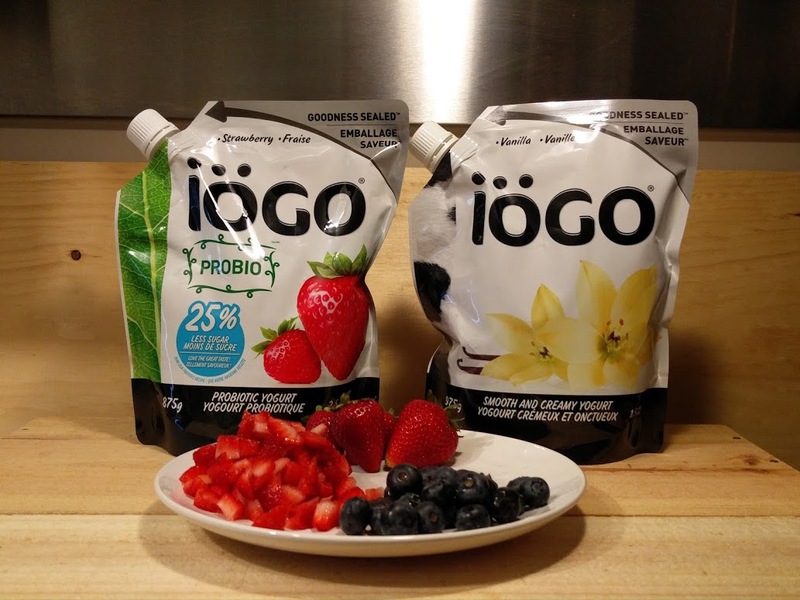 If you live in Canada, you have probably tried or heard of Iögo yogurt. Iögo just launched new Big Format Pouches for some of their tasty yogurt flavours. The new containers use a plastic pouch with a resealable cap, which allows you to use as much as needed and keep your yogurt fresh. The packaging can hold more yogurt (750g- 975g depending on the flavour), is flexible and recyclable. You can bend and squeeze the pouches to get out every last drop of delicious yogurt! 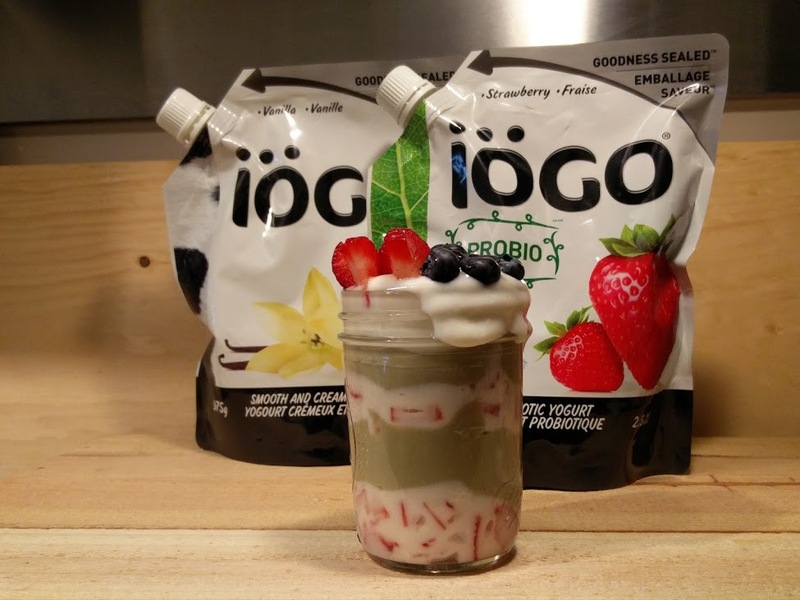 Iögo yogurt can be used in many recipes including smoothies and banana bread. My favourite way of eating yogurt is either by itself or mixing it with fruits and granola. Sometimes, I even like to mix different yogurts together for a really crazy snack. I recently made a Matcha Yogurt Parfait using the Iögo Original big format yogurt. This healthy yogurt treat can be eaten as breakfast, snack or even after dinner dessert. 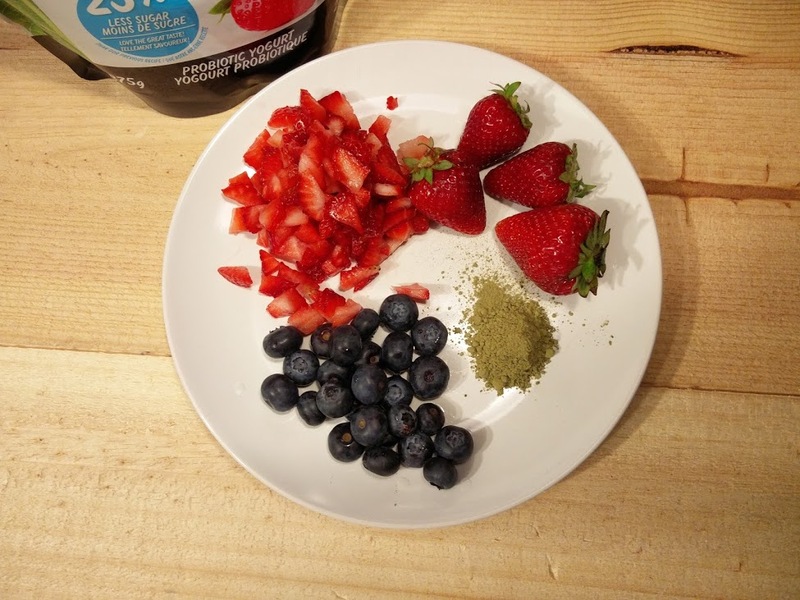 The addition of matcha green tea powder and fruits ensures you get a healthy dose of antioxidants and probiotics. 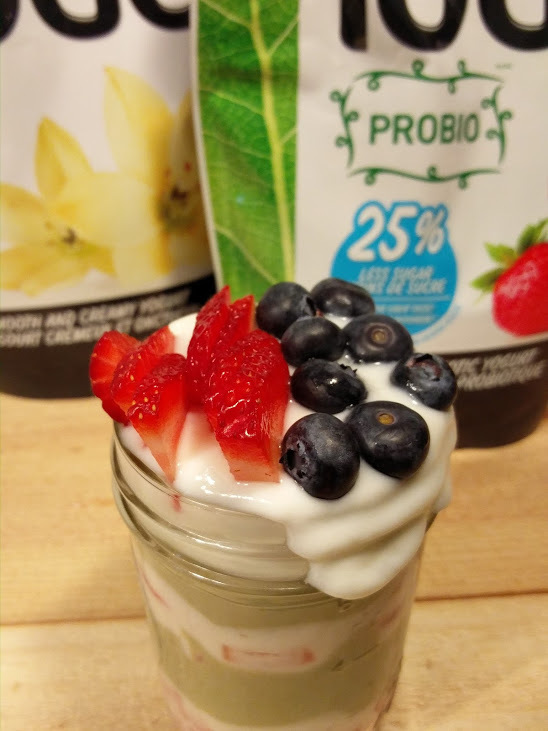 Check out my Matcha Yogurt Parfait recipe and make your own at home (you can substitute items in the recipe to make your own custom Iögo yogurt parfait.